Thought I’d post a couple more of my Dan Ross paperbacks. 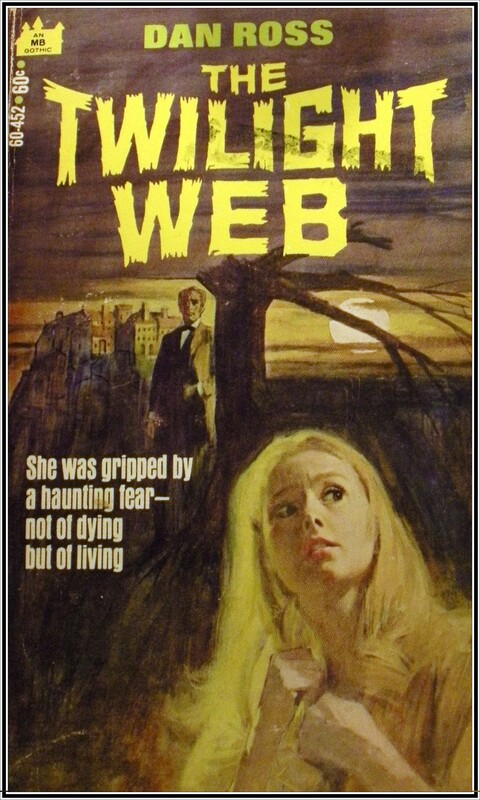 Dan Ross is the bestselling Canadian writer who wrote a lot of Gothic Romances, using various pseudonyms. As Marilyn Ross he wrote over 30 paperback gothics based on the TV series Dark Shadows. A Ghastly Dream Come True…. Elizabeth felt like a beautiful princess in the romantic chalet. It was a setting out of a dream. 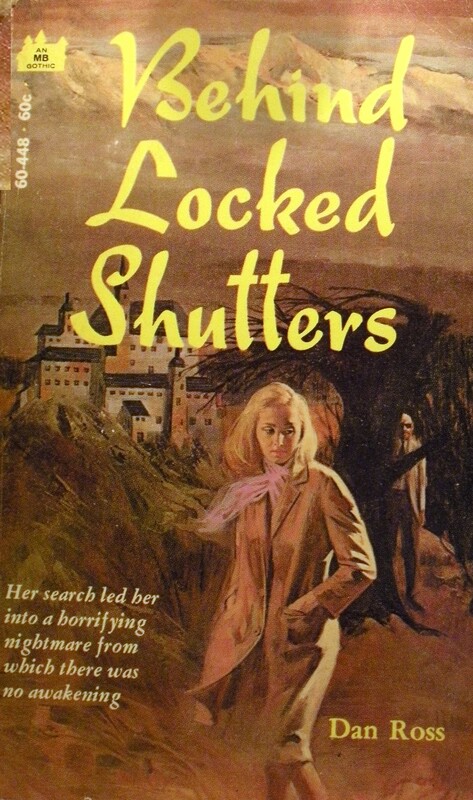 Then suddenly her life became part of the bizarre and chilling terrors locked behind the chalet doors – weird noises in the night, cries of madness creeping down the halls, ghostly figures lurking in the shadows and pursuing her. Where does a dream begin and where – and when – does it end? Rose Hilary faced a glorious future with the man she loved. Rocky Terrace, the beautiful old mansion that was to be their home, was only part of the fortune she’d inherited. But dark terrors crouched in the estate’s every corner. 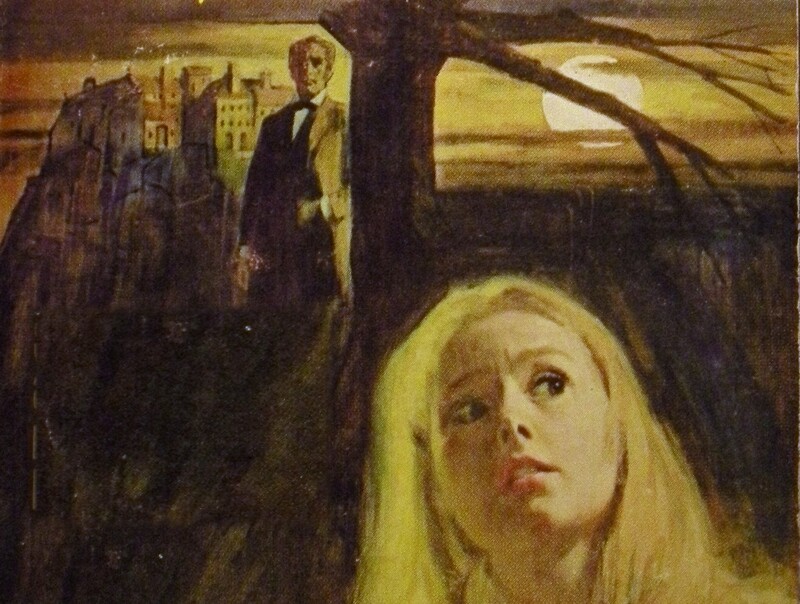 The lovely young heiress was about to become a victim of happenings so bizarre she could only wish for death…. Dan Ross was a very prolific writer with over 300 novels to his credit. His Dark Shadows books each took about three weeks to write. 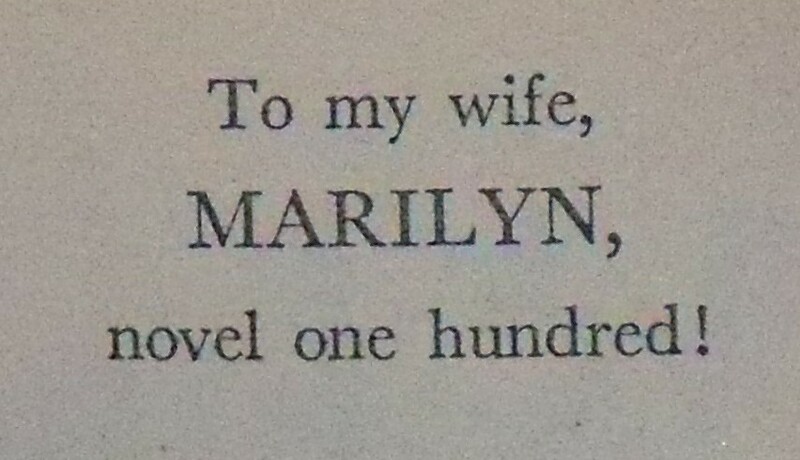 Behind Locked Shutters was his hundredth novel, dedicated to his wife Marilyn, and published with this message on the inside cover. How cute is that?! There is an interview with Dan Ross by Craig Hamrick over at Dark Shawdows Online.